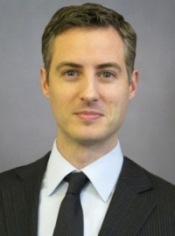 NYC Public School Parents: John White, the next Superintendent of New Orleans? John White, the next Superintendent of New Orleans? UPDATE: his appointment was just announced; see Times-Picayune, with quotes from MBP Stringer, Irene Kaufman and me. My condolences to New Orleans. John White, NYC Deputy Chancellor, is reportedly being considered as the next Superintendent of New Orleans schools. White led the DOE’s efforts to expand charters, and to co-locate them in already existing schools. He is also a former TFA-er, and a graduate of the Broad Superintendent Academy, which has trained countless controversial superintendents, including many that have received no-confidence votes, like Jean-Claude Brizard of Rochester, and the scandal-ridden Maria Goodloe-Johnson, recently dismissed from Seattle schools. In the views of many public school parents, he has consistently ignored our concerns about overcrowding and inequitable distribution of resources and space. See this account, for example, of the proposal to place the Hebrew Language Academy charter school within Marine Park middle school; here are also videos of the highly contentious hearings. During the proceedings, he called the 150 children who would attend the Hebrew charter school the "jewels" of the DOE, which hugely offended the parents of the 1100 children currently attending Marine Park MS, as well as the community's elected officials, including Rep. Anthony Weiner. White also supported the creation of a middle school called "Quest to Learn" based on video games, despite the opposition of District 2 parents and the Community Education Council. He promised it would not go into an existing school building but that it would find its own building. That never happened, of course. Instead it was inserted into the Bayard Rustin building, eliminating precious gym space for students at the schools already housed in the building. His refusal to consult with parents and the CEC led to a lawsuit. It is no wonder that White would want to leave NYC, considering the negative feelings he has aroused; and the fact that approval ratings for Bloomberg's handling of education is at an all-time low of 28%. Despite all the money spent and often wasted, achievement has lagged, especially among black and Hispanic students. John White also led the campaign to close schools. Below are videos of public hearings at which he presided concerning the closing of Jamaica HS in Queens and Metropolitan Corporate Academy in Brooklyn. Jamaica HS Closing Hearing: James Eterno Presents the Real Data from Grassroots Education Movement on Vimeo. No Leonie - he just ignores you and fringe elements. He focuses on student issues, not adult issues. Believe me nothing could be farther from the truth. His comments at Jamaica High School totally misrepresented what was said by students and parents at the meeting held by DOE in December. We perceived his January statements as lies. Had Deputy Chancellor White actually cared about student issues, the DOE would have sent support to Jamaica High School instead of strangling the school and all of the hard work there. There is NO trouble keeping teachers at Jamaica and it was the DOE which cut its support. It was also the DOE who limited the number of students that they would allow to attend the school. If you check the application numbers vs number of seats provided, you will see that more students applied than were admitted. They can have John White in New Orleans with his condescending 'Thank you, Thank you...' and thank you to them for taking him away from here! Just a heads-up: the link the quote on achievement being the constant & adults being the variable comes from isn't working. This New Orleans mom wants to quote you with the right link there. became the deputy chancellor for talent, labor, and innovation at the New York City Department of Education, where he was responsible for: human capital development; management of the school portfolio; and management of the Innovation Zone, a network of schools piloting industry-changing products. Previously, he served as chief executive officer for portfolio, where he was responsible for developing new schools, closing failing schools, and adjusting grade levels, enrollments and locations of existing schools. White has also served as deputy chief operating officer for the Department. Prior to joining the Department, White served as executive director for Teach For America Chicago and Teach For America New Jersey, serving on the organization's national Strategy Committee. Sounds like all adult focussed issues to me! Leigh: I fixed the link; thanks! Jaymo: class size, overcrowding, school closings, online learning, and harmful charter co-locations are student issues, for sure. John White, Joel Klein, Mike Bloomberg and many others are responsible for the DOE acting outside the law, forced to behave lawfully and ethically only by dint of lawsuits. For their great unlawful disservice to the school system, students, parents and education in NYC, these sleazoids deserve brief stints in prison. Impeachment for Bloomberg. Those of us in New Orleans would like for you to keep John White! Surviving Hurrican Katrina and Paul Vallas has been quite enough for us! Maybe John White can join Paul Vallas in Chile? John White has "children" as part of his team. He is clueless and so are his young cronies. We the community need to galvanize to get this it is "all about me" person out! Dee Alpert, we will miss you!